Celebrate Rosh Hashanah with These 11 Amazing Jewish Authors! Sunday began the Jewish holiday of Rosh Hashanah, which will come to an end tonight. This holiday, the first of the Jewish High Holy Days, marks the beginning of the Jewish New Year. In contrast to other New Year celebrations, Rosh Hashanah is a time for reflection and introspection, rather than flamboyant festivities. Rosh Hashanah lasts for two days, during which those who celebrate can honor the holiday by gathering for celebratory meals, performing a Tashlich ceremony to symbolically cast away one’s sins, and sounding the ceremonial shofar, a type of ram’s horn. This Rosh Hashanah, consider taking the opportunity to recognize the literary contributions of Jewish authors. Paul Auster is a prolific and versatile American writer of various forms of literature, including fiction, memoir, essays, screenplays, and poetry. Auster’s work is famous for its reoccurring elements of disorientation, paternal absence, and metafiction. For his ability to assemble these elements into his own particular brand of postmodernism, he has come to be called one of the most distinct voices in American literature. While Auster rejects the concept of identity politics, he has included themes of Jewish identity and history in his work, particularly in Winter Journal. Since the beginning of his career, Auster’s work has garnered consistent critical acclaim, and his most recent work, 4 3 2 1, was shortlisted for the 2017 Man Booker Prize. Judy Blume is a beloved writer of several works which have touched the childhoods of many, particularly young women. She has been successful in the realms of both children’s and adult fiction, and in each respect, she has been an adamant voice of resistance against censorship. Throughout her career, attempts have been made to sanitize and edit her work, particularly her best-known novel, Are You There God? It’s Me, Margaret., in which the protagonist experiences the difficulties associated with adolescence, including religion. The novel follows the titular Margaret’s struggle to reconcile the religious identities of her parents, one of whom is Christian, and the other Jewish. Daniel Handler, who has been called “the best dark humorist since Kurt Vonnegut,” is an American author best known for works published under his pseudonym, Lemony Snicket. As Snicket, Handler has published the exorbitantly famous A Series of Unfortunate Events. In an interview, he enthusiastically confirmed that the Baudelaire orphans of the series are Jewish, adding, “I think there is something naturally Jewish about unending misery, yes. I mean, I guess naturally but not exclusively Jewish. I’m Jewish so, by default, the characters I create are Jewish, I think.” He is also the author of several other works under the Snicket name, including The Latke Who Couldn’t Stop Screaming, and The Dark. As Daniel Handler, he recently published All the Dirty Parts, a coming-of-age novel. Nicole Krauss is an American author, best known for her works Man Walks Into a Room and The History of Love. Krauss has been a writer from a very young age; as a teenager she began writing poetry before moving on to novels. Her most recent novel, Forest Dark, tells the story of two Americans who travel to Israel for personal fulfillment; the novel describes the complexity of Jewish identity, as well as the current dangers facing the Jewish community given the frightening rise of anti-semitic violence in recent years. 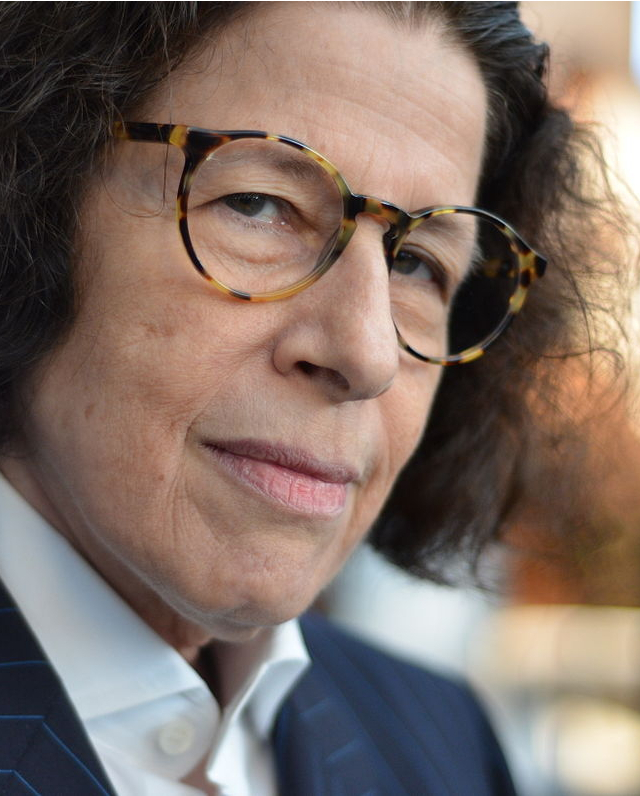 Fran Lebowitz is an American author and New York City icon known for her cynic wit and frank political views and opinions, which have been the focal point of her career. At twenty-one, she was hired by Andy Warhol for Interview magazine to write her column, “I Cover the Waterfront,” and since then has published books of essays, a children’s book, been named a style icon by Vanity Fair, and even spent six years starring as Judge Janice Goldberg on Law & Order. Jodi Picoult is an American author best known for writing My Sister’s Keeper. Picoult is known for using her work to tackle challenging moral debates, and has been commended for her tactful yet unflinching manner in writing through these issues. Her books have included stories about illness and responsibility to family, forgiveness for egregious crimes, abuse, etc. Having been raised Jewish, Picoult’s work has included elements of Jewish history, particularly her novel The Storyteller, which tells the story of a former SS officer seeking absolution from his crimes in the form of death. Louis Sachar is an American author best known for his young adult hit, Holes. Sachar has said that his love of literature began in high school, and has included like Kurt Vonnegut, Margaret Atwood, Kazuo Ishiguro, and J.D. Salinger among his favorite authors. While he originally intended to pursue a career in law, even getting as far as to have completed law school, passed the bar exam, and begun part-time legal work, he left law to pursue children’s writing in 1989. Sachar was raised in a Jewish family, and many readers have noticed that the protagonist of Holes, Stanley Yelnats, is implied to be Jewish, and that the history of Stanley’s family as it appears in the book echoes the experience of Jewish immigrants. Art Spiegelman is an American author, best known for his graphic novel, Maus, a postmodern historical account of his father’s survival of the Holocaust. The book portrays people as animals according to their political/ethnic identity: Jews are mice, Germans are cats, etc. The novel is framed as Spiegelman’s father telling him his family’s story as Spiegelman imagines it. Maus became one of the very first graphic novels to be taken seriously for academic study, not only because of its subject matter, but because of the skill employed in writing it. Featured Image via Vexels and My Jewish Learning.